The Trump administration said it will impose tariffs on steel and aluminum imported from the European Union, Canada and Mexico, in a move almost certain to trigger retaliation by America’s closest allies. The decision came hours before temporary exemptions were due to elapse at 12:01 a.m. Eastern Time on Friday. The move marks the Trump administration’s most aggressive trade action yet against major U.S. trading partners, which had been asking for permanent relief. U.S. Commerce Secretary Wilbur Ross said there wasn’t enough progress in discussions with the EU over trade concessions and Canada and Mexico on rewriting the North American Free Trade Agreement to give them permanent exemptions from the metals tariffs. Stocks in the U.S. fell as the administration ignored the pleas from business lobbying groups including the U.S. Chamber of Commerce to forego tariffs. Ross said he’s looking forward to “continued negotiations" with Canada, Mexico and EU “because there are other issues" that need to be resolved. There’s potential “flexibility” in the future because the president has the power to increase or cut tariffs, remove them, or enact quotas, he said. Fears of a global trade war are mounting as the Trump administration also considers tariffs on U.S. auto imports and duties on $50 billion in Chinese goods. The International Monetary Fund has warned that a wave of protectionist forces are the biggest risk to the global economic outlook. In imposing the tariffs, President Donald Trump invoked a seldom-used section of a 1960s trade law that allows him to erect trade barriers when imports imperil national security. Trump in March imposed 25 percent duties on imported steel and 10 percent on aluminum, but he gave temporary reprieve to a handful of allies for further talks to take place. The EU had said it wouldn’t make trade concessions to gain a permanent exemption, and vowed to respond firmly to the imposition of tariffs. The 28-member bloc has threatened to complain to the World Trade Organization and impose counter-tariffs on 2.8 billion euros ($3.3 billion) of American imports as soon as June 20. EU Trade Commissioner Cecilia Malmstrom has said the details of the U.S. decision would guide the EU’s response. Canada and Mexico also rejected the Trump administration’s suggestion of linking tariff relief to the outcome of ongoing talks to revamp NAFTA. 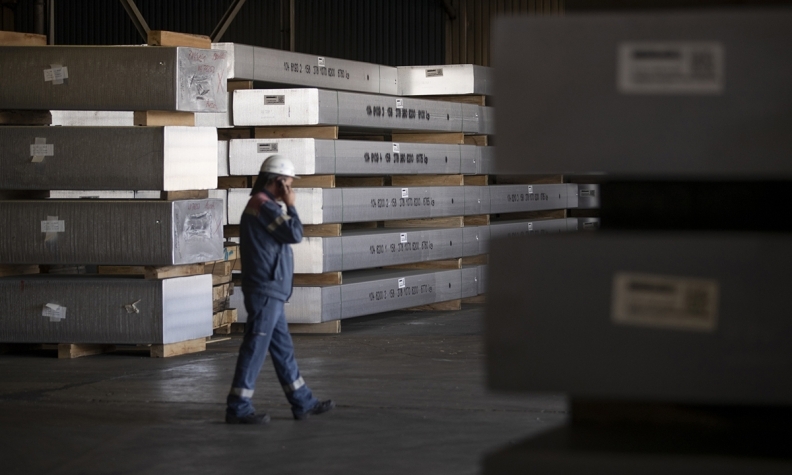 Canada will respond “appropriately” to any steel and aluminum tariffs, Foreign Minister Chrystia Freeland said on Wednesday, while Mexican Economy Minister Ildefonso Guajardo said earlier this year that retaliation is an option. Trump imposed the tariffs in March after his U.S. Commerce Department declared that steel and aluminum imports undermine the country’s manufacturing base and threaten national security. The action was mainly targeted at China over accusations of flooding the global market with cut-rate metals and dragging down prices. The Trump administration has said a global tariff is necessary because China is shipping its steel through other nations. The White House action comes as the Trump administration begins a similar national security investigation into auto imports, which could lead to tariffs. The probe was seen as an attempt to pressure Mexico and Canada over a NAFTA deal. They are the two biggest suppliers of foreign vehicles to the U.S.
NAFTA negotiations are “taking longer than we had hoped. There is no longer a very precise date when they will be concluded,” Ross said on Thursday. The steel and aluminum levies and auto import probe could play well with Trump voters in Rust Belt states in the lead-up to congressional mid-terms in November.